Why a Dollar is Called a "Buck"
As with many etymologies, the exact root of this word is difficult to say with one hundred percent certainty. However, the leading theory is extremely plausible and backed up by a fair bit of documented evidence. 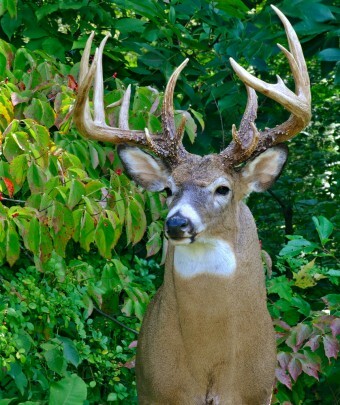 Specifically, it is thought that a dollar is called a “buck” thanks to deer. One of the earliest references of this was in 1748, about 44 years before the first U.S. dollar was minted, where there is a reference to the exchange rate for a cask of whiskey traded to Native Americans being “5 bucks”, referring to deerskins. At this time, a buck skin was a common medium of exchange. There is also evidence that a “buck” didn’t simply mean one deerskin, but may have meant multiple skins, depending on quality. For instance, skins from deer killed in the winter were considered superior to those killed in the summer, due to the fur being thicker. This use of skins as a medium of exchange gradually died off over the next century as more and more Europeans moved in and built towns and cities. Once the U.S. dollar was officially introduced after the passing of the Coinage Act of 1792, it quickly became the leading item used as a medium of exchange, but the term “buck” stuck around and by the mid-nineteenth century was being used as a slang term for the dollar. The ‘buck’ is any inanimate object, usually knife or pencil, which is thrown into a jack pot and temporarily taken by the winner of the pot. Whenever the deal reaches the holder of the ‘buck,’ a new jack pot must be made. As to why it is then called a buck, it is thought that may have arisen from the fact that buck-handled knives were once common and knives were often used as the “buck” in this sense. As for the figurative sense of passing the buck, this didn’t start popping up until the early twentieth century. Thank you for that, must admit Ivee often wondered about that. The US Dollar Buck originates from the Scott Buccleuch family! Robert Scot the Great Seal engraver made and controlled the entire art guild, meaning he controlled the infrastructure in America. Being a representative to the Scottish families over seas and in America! The Scottish Royal family called the Scot’s Buccleuch’s family Arms badge is the Buck or Stag! Look at my blog and see the manipulated eagle bird, the legs and arrows are a buck deer! The older history of the deer skins of fantasy history, even though it was a form of money. But the true origins of the “BUCK not eh Dollar” comes from the direct family who made the MONEY! It would be nice if you could list the sources to your otherwise high quality articles and videos. It would make them even more creditable.